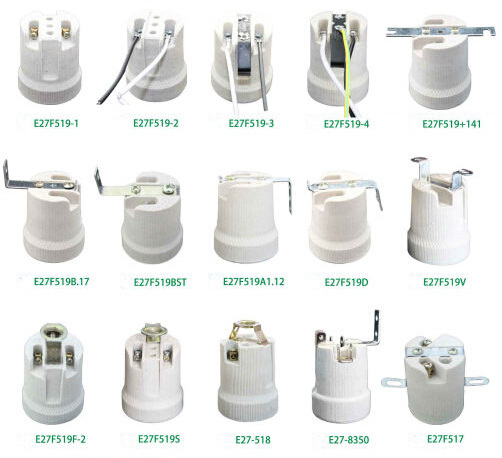 Advantages of Porcelain Lamp Sockets replace aluminum alloy light bulb sockets. 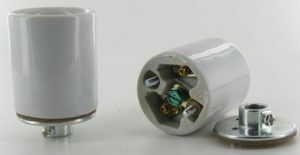 These are brand new units pulled from unused ceiling fan light kits.Longer lasting than a phenolic socket, this 1/4 IP medium base (E26) Porcelain Lamp Sockets are perfect for most light to medium-duty applications. It is made of commercial quality white glazed porcelain and rated for a maximum wattage of 660 watts and a maximum voltage of 250 volts. With two brass screw terminals, the installation of this socket is a cinch. 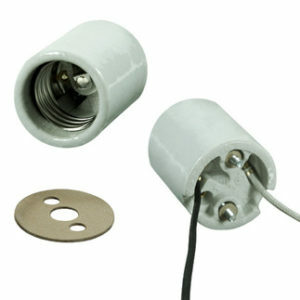 Equip your lighting fixture with this medium base Porcelain Lamp Sockets.